On Sunday, September 20, 1925 the residents of Grand Junction must have been excited about the upcoming week. Monday would mark the beginning of classes at the first college in Grand Junction and the newest institution of higher learning in Colorado. Grand Junction State Junior College opened it doors to students at 8:00 AM on Monday, September 21, 1925. 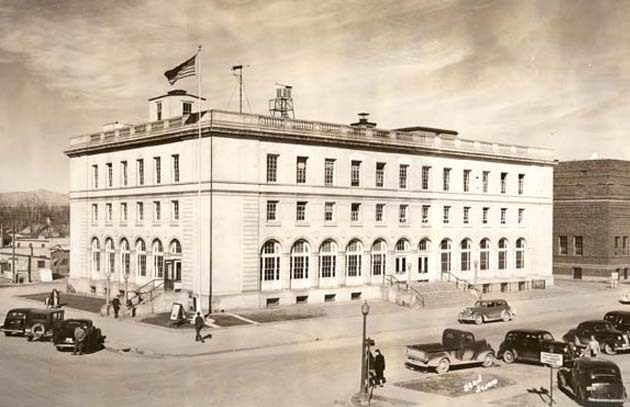 The school was located at the Lowell School Building on 5th and Rood. It was originally an extension of the then State University of Boulder. Miss Mary Rait was one of the most notable members of the faculty and she taught history. Rait’s name lives on in many ways, including the Mary Rait Hall dormitory at the current campus on 12th St. 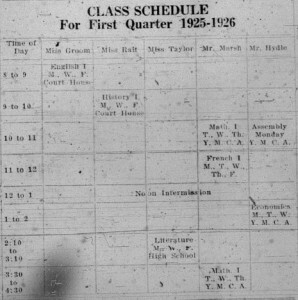 Although the the junior college was based at the Lowell School, the Fall 1925 courses for Math and Economics were held at the nearby Y.M.C.A. building. In 1937, the school was renamed Mesa College and now is known as Colorado Mesa University.